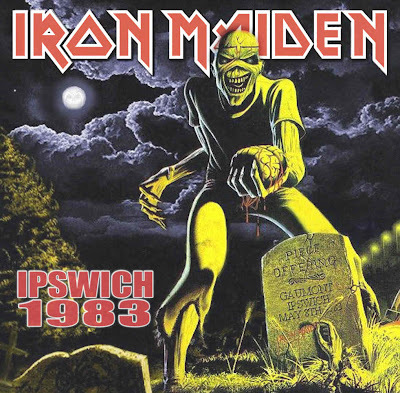 Recorded Live at The Gaumont, Ipswich, England - May 8, 1983. 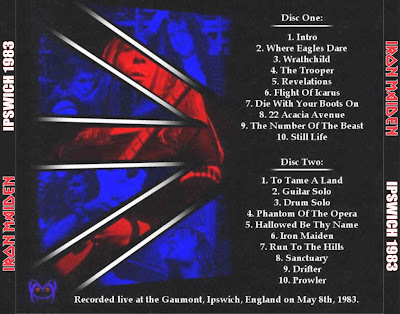 Excellent Audience Recoding :: FLAC (Lossless). Personnel: B. Dickinson, S. Harris, D. Murray, A. Smith, N. McBrain . Notes: Corrected Version. The original taper did a GREAT job. The sound quality is AMAZING for an audience recording. Artwork by Universal Mind. (Info taken from original info file). thanks for the flacs :D Is it btw possible to upload the flac to megaupload instead of/as well, for instance, "Uploading"? Thanks for not say thanks to the original uploaders.